Assassin’s Creed has consistently been one of the most relevant franchises since the initial title’s first release in 2007. Ubisoft’s ever-growing release schedule and a slew of new titles means that, by the time we’ve finished digesting the newest Assassin’s Creed game, another one is just about here. And if it’s not, well…what about a Remaster? Assassin’s Creed III Remastered is here for all your Revolution needs, thankfully holding us over until the next game, or, if you’re like me, making you forget about it entirely. With the main game being almost entirely the same, the biggest major difference is the graphics. The environments are now gorgeous, made to made current era games with the realistic landscapes and towns, although the character models don’t fare so well. Also, when you look at comparisons, everything is more yellow now. No one’s really sure why that’s the case. Regardless, with the added quality of life updates, like crafting and improved map features, if you loved Assassin’s Creed III the first time, you’ll love it now, and there’s never been a better time to pick it up. 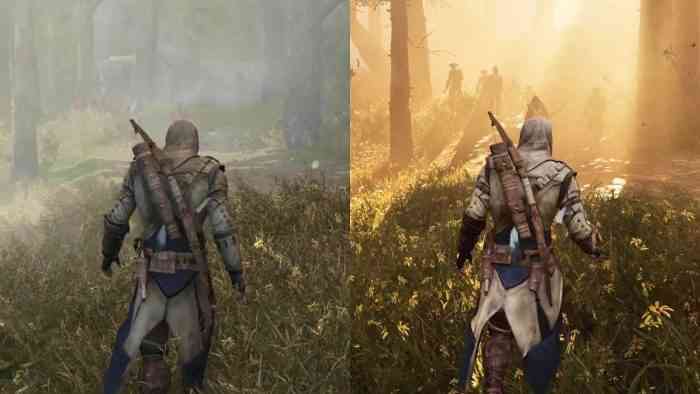 Are you planning to check out Assassin’s Creed III Remastered? Let us know in the comments below.